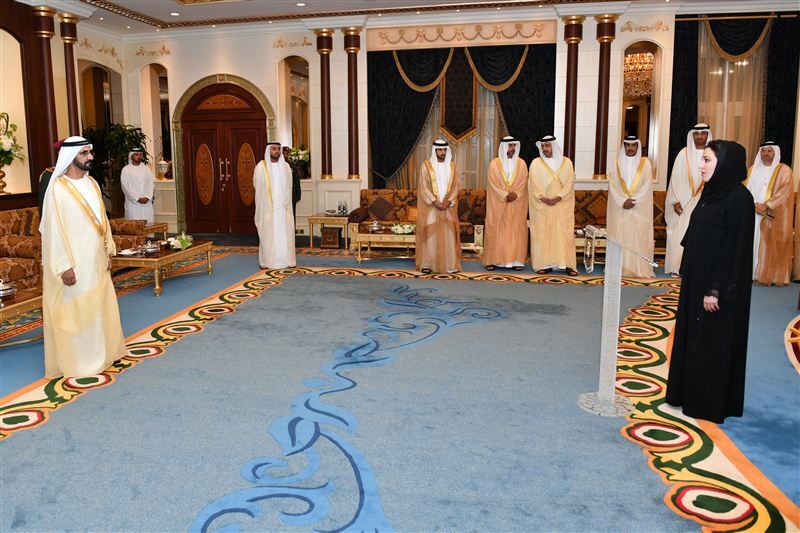 Eight new UAE Ambassadors to friendly countries have sworn in before Vice President and Prime Minister of the UAE and Ruler of Dubai His Highness Sheikh Mohammed bin Rashid Al Maktoum. 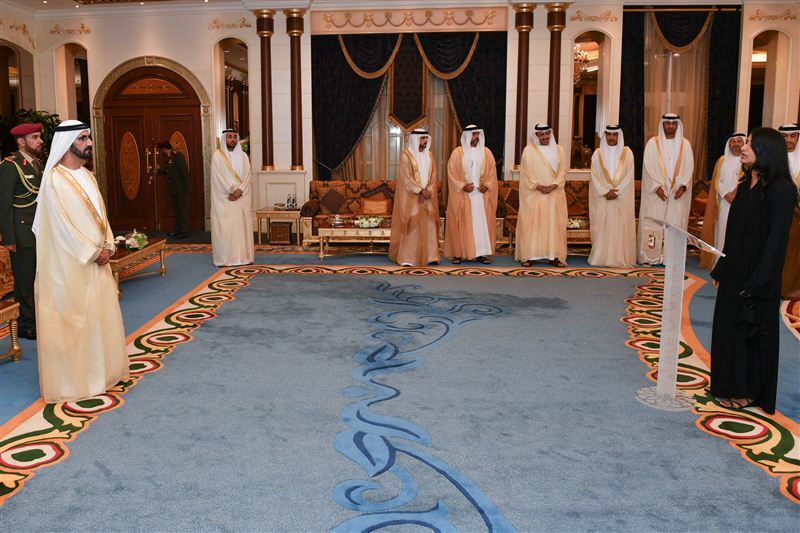 Present at the swearing-in ceremony, held at Al Mushrif Palace today, were Dubai Crown Prince His Highness Sheikh Hamdan bin Mohammed bin Rashid Al Maktoum, Chairman of Abu Dhabi Crown Prince’s Court His Highness Sheikh Hamed bin Zayed AL Nahyan and Minister of Foreign Affairs and International Cooperation His Highness Sheikh Abdullah bin Zayed Al Nahyan. 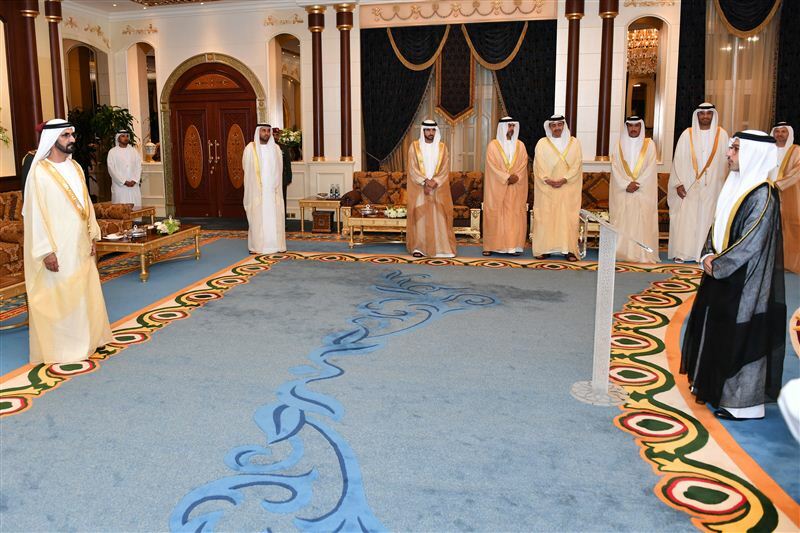 The Ambassadors who took the oath of office were Mahash Saeed Alhameli, the UAE Ambassador to South Africa; Noura Mohammed Abdul Hamid Juma, the UAE Ambassador to Finland; Saleh Ahmed Alzreem Al Suwaidi, the UAE Ambassador to New Zealand; Salim Ahmed Salim Al Kaabi, the UAE Ambassador to Ukraine; Mohamed Essa Bu Shehab Al Suwaidi, the UAE Ambassador to Belgium; Fatima Khamis Salem Al Mazrouei, the UAE Ambassador to Denmark; Hanan Khalfan Obaid Alalili, the UAE Ambassador to the Republic of Latvia and Dr. Mohamed Ahmed bin Sultan Al Jaber, the UAE Ambassador to Kazakhstan. 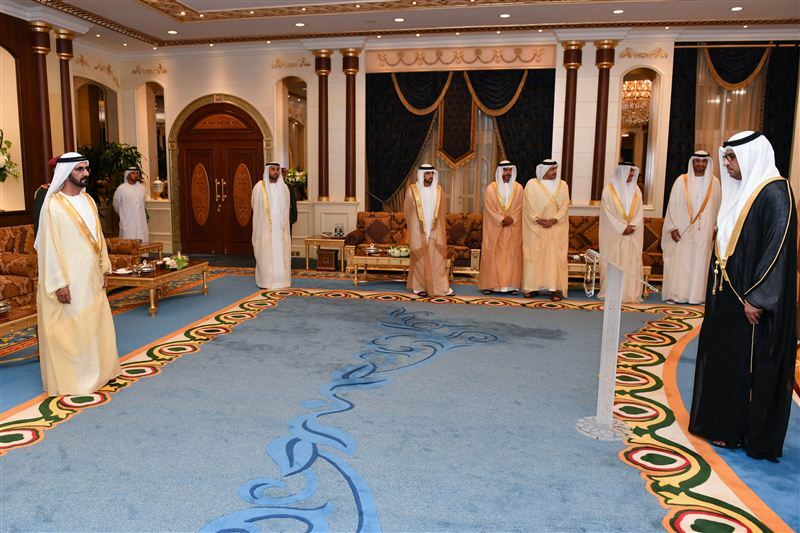 The new ambassadors pledged their loyalty to the UAE and its President, to show respect for the constitution and laws, and to place the country's interests over any other considerations while performing their diplomatic tasks with a high sense of honesty, integrity and confidentiality. 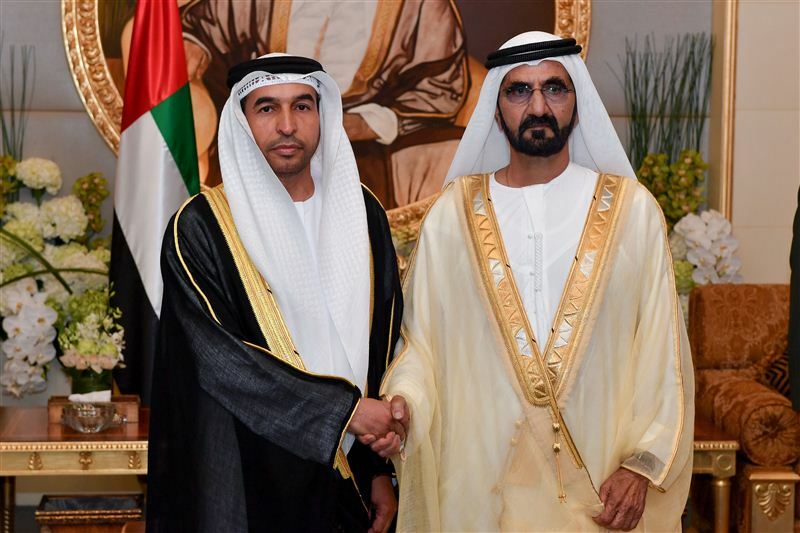 Sheikh Mohammed urged the new ambassadors to advocate peace while carrying out their missions and adhere to tolerant Arab and Islamic values and ethics as well as work hard to preserve the interests and reputation of the country abroad so as to reflect the cultural and humanitarian image of the UAE and its people. 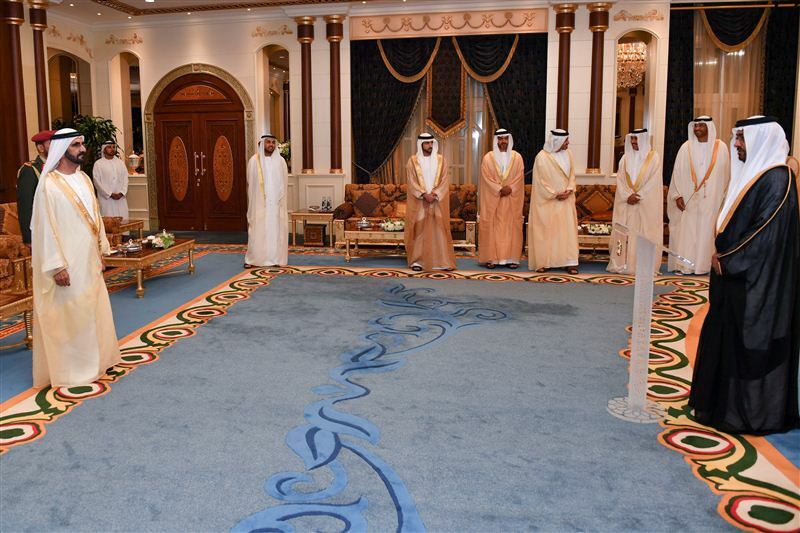 Also present at the swearing-in ceremony were Minister of State for Foreign Affairs Dr. Anwar bin Mohammed Gargash, Minister of State for International Cooperation Reem bint Ibrahim Al Hashemi, Minister of State Dr. Sultan bin Ahmad Sultan Al Jaber, Deputy Minister for Presidential Affairs Ahmed Juma Al Za'abi, Director-General of His Highness the Ruler's Court Mohammed Ibrahim AI Shaibani, Director-General of Dubai’s Protocol and Hospitality Department Khalifa Saeed Suleiman along with officials from the Ministry of Foreign Affairs and International Cooperation.